All seats that SERIES Seating manufacturers feature breathable fabrics with long-term tested durability. Our upholstery craftsmanship combined with our molded seat foam provide exceptional comfort that will last for many years. 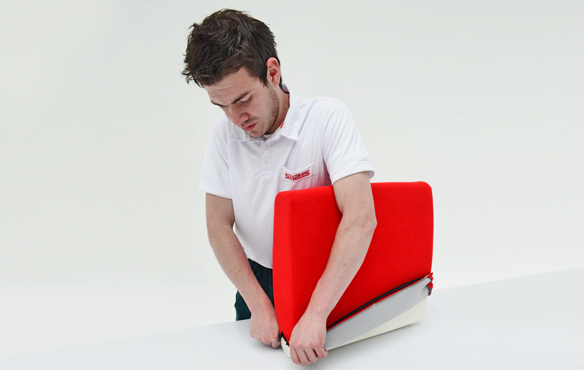 The majority of our seating systems feature easily replaceable zippered covers. Our upholstered seat covers can be quickly replaced in less than 2 minutes following our simple instructional videos. We also provide a cover replacement service for customers who would prefer our experts to handle the replacement.